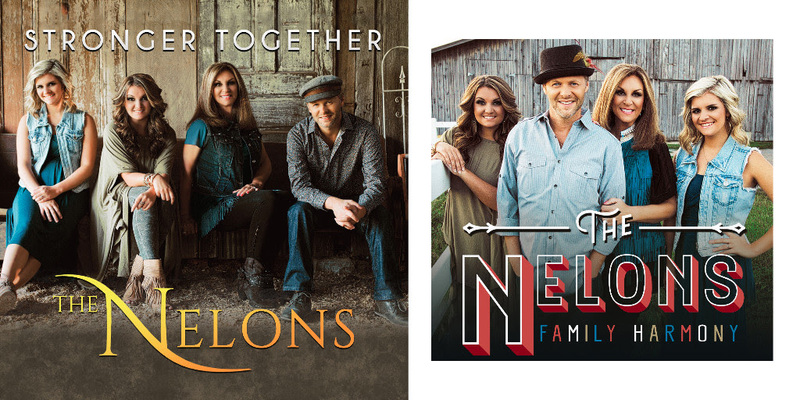 Hendersonville, TN (August 12th, 2016) – Daywind recording artists, The Nelons, are excited to announce the release of Stronger Together andFamily Harmony, both available today! After nearly two years of writing, song-selection and recording, the Gospel Music Association Hall of Fame members were faced with the challenge of selecting which of the eighteen recorded songs would make it onto their newest album. The Nelons felt strongly that each song held an incredible potential to minister to and encourage listeners, so instead of narrowing down the selection, the idea of jointly releasing Stronger Togetherand Family Harmony was born. With a long list of world-class songwriters gracing the credits, it’s not difficult to see why eliminating songs from the track listing would be near impossible. An accomplished songwriter in his own right, Jason Clark was honored to co-write with such legendary writers as Dony and Reba (Rambo) McGuire, and Dawn Thomas, in addition to the contributions Songwriters of the Century, Bill and Gloria Gaither, made to the project. Paired with the incomparable orchestrations and musicianship of hall of famers such as Brent Mason, Gordon Mote and David Huntsinger, among others, Stronger Together andFamily Harmony are both exceptional projects that the Nelons are eager to present to their long-time fans, and new listeners alike. Family Harmony and Stronger Togetherare available at Christian retail stores across the country and digitally at iTunes and other online outlets. Bulk purchasing for gift and ministry purposes is available by calling 1.800.635.9581.